A lot goes into taking care of your watercraft. 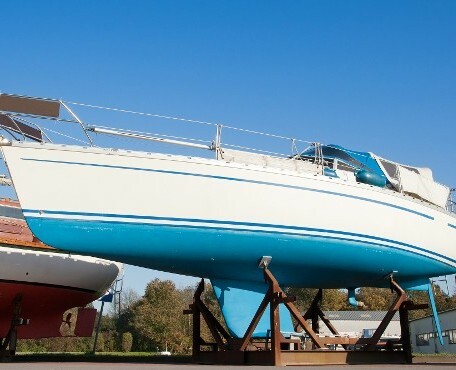 No matter what you need, Paul's Repairs Inc. has the marine mechanic services and boat storage you need. Whether you need routine service or new parts, our mechanics do it all, but our services go beyond repairs. We can help you when you want to sell your watercraft or need to store it somewhere for the long winter. Whether you noticed something odd about how your boat handled the last time you were out in the water, simply want to have a general checkup before taking it back out, or need something more extensive, we will take care of your baby. After all, no repair is too big or too small for our experienced boat mechanics. While we specialize in Personal Watercrafts (PWC), inboard/outboards, as well as Jet Ski service and repair, we can also provide fiberglass work, glass work, engine and motor repairs. As Konrad Marine dealers, we can offer an excellent alternative to Mercruiser TRS outdrives. We're currently featuring a fuel injector cleaning for all makes and models with fuel injected outboards, including the Mercury Optimax. If you can't get your rigs to us, we'll come to you. If necessary, we'll tow your rig to our location and do repairs in house. We provide estimates with all our repairs. We waive our estimate fee if we do the work for you. When you get something repaired or replaced, you expect it to last. That's why we provide a warranty for all the work that we provide. In fact, every re-built powerhead comes with a no-hassle, 1-year warranty. We'll pay top dollar for the items you sell us. Please be aware however we do not buy or sell sailboats. Call us for more information. Storing your watercraft at home can be prohibitive for a number of reasons. If this is the situation for you, you'll love that we offer storage for your boat, trailer, and personal watercrafts. Storage starts at $50 a month and goes up depending on the size of the boat.